It was a big day at the Tour Down Under yesterday(today), as Cadel Evans lost the leaders jersey to Simon Gerrans by 1 second. Richie Porte tore up the final climb to the finish line, winning the stage by 10 seconds and shaking up the General Classification. There are now four Aussies in the top five of the stage race. The photo above has always been my favorite photograph I have taken of Cadel Evans because he looks so tired after the stage. To me this is how every rider should look after a good hard bike race. His is the face of exhaustion, always a good sign that the battle was hard fought. 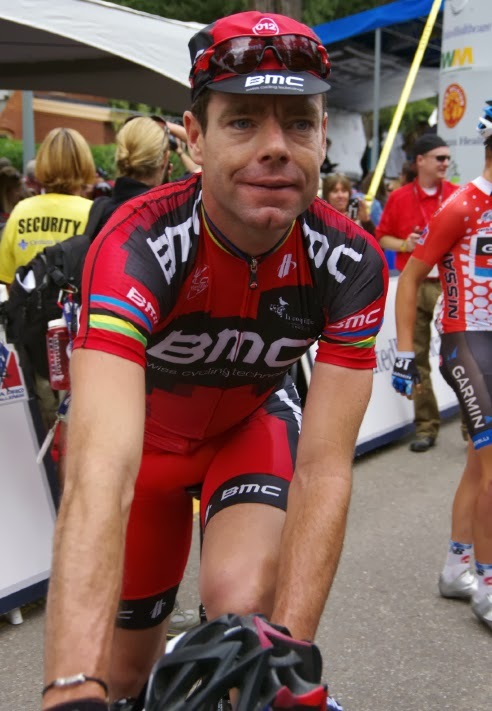 This was Cadel before a stage start, refreshed, no road dirt, no exhausted eyes. 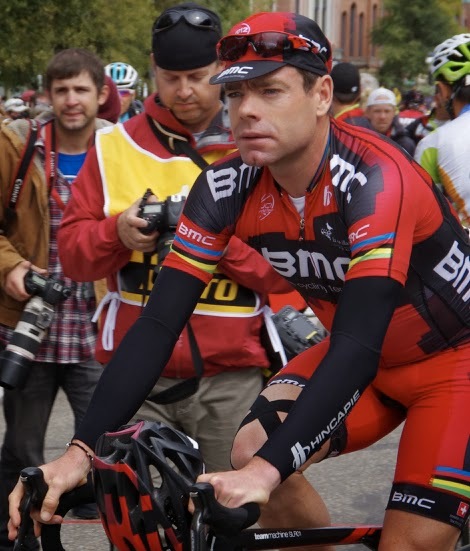 Another one of my favorites of Cadel, focused pre-race. 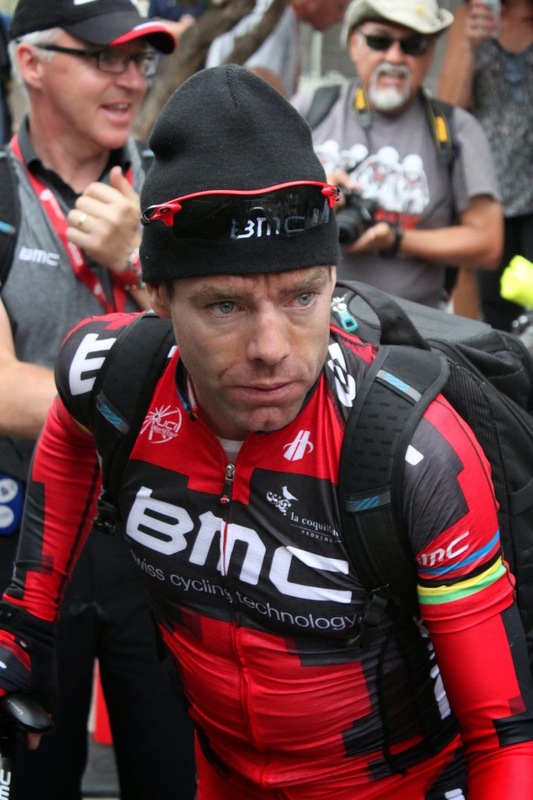 Cadel Evans lost by one fragile second in the battle on Stage 5 of the Santos Tour Down Under. The final GC outcome will be known on Sunday after the last stage of the Tour, but there is little likelihood that the climbers will get time bonuses tomorrow, it looks like Simon Gerrans might carry the ochre jersey to the final podium (unless more surprises are in store), leaving Cadel Evans to reflect upon that fleeting 1 second. .... Santos Tour Down Under 2014 - missed by 1 second! 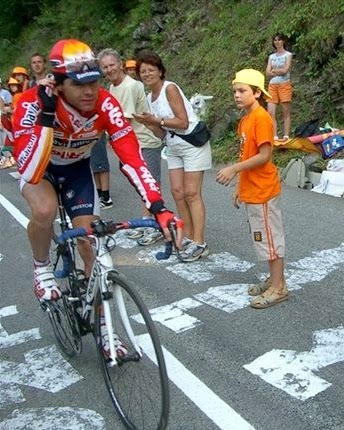 Check out this old photo I found of Cadel from 2005, 9 years ago, at the Tour de France. His country has been Australia, for 36 years.